Hakkasan Las Vegas is located in the MGM Grand Hotel. 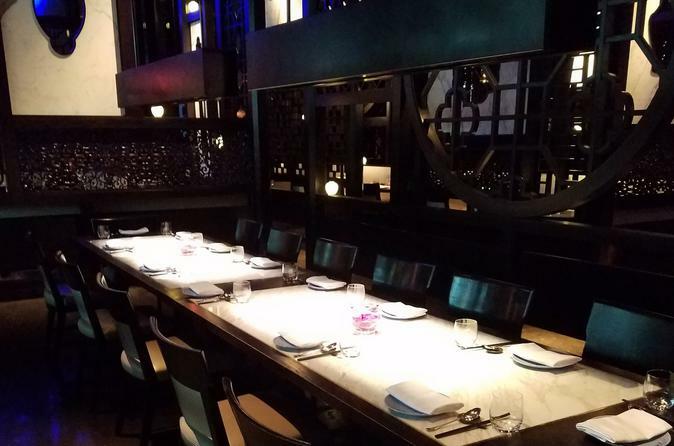 Open nightly for elevated Cantonese cuisine and exquisite desserts. Upon arrival guests are greeted by an entrance enveloped in Hakkasan’s signature shades of blue, ambient sounds, scents, and lighting, creating a relaxed atmosphere. At the heart of the restaurant is the kitchen headed by Michelin-starred Chef Ho Chee Boon and his team of highly-skilled wok and dim sum chefs. At dinner guests will each receive the below menu.